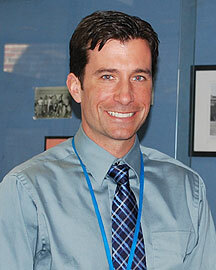 Principal Brad St. Laurent was born and raised in the Merrimack Valley area. His first job in education was as a sixth grade teacher in Windham, NH where he taught for seven years. In 2004 he was selected as an assistant principal for Woodbury School. He was named building principal for the 2010-2011 school year. Mr. St. Laurent completed several programs through the University of New Hampshire and holds certifications in Elementary Education, Principal, and Superintendent. His wife, Suzi, teaches in the Salem School District at the elementary school level. They live in Auburn NH with their sons Bradley and Alexander. Amy Favreau grew up in Wethersfield, CT and relocated to New Hampshire in 1994. She lives with her husband, Peter, and two children in Manchester. Amy has been a classroom teacher, a reading supervisor, and a reading specialist for the past 22 years. She has worked in Massachusetts, Virginia, as well as in the Nashua, Manchester, and Salem School Districts. Amy was a reading specialist at Fisk and Lancaster Elementary Schools in Salem for four years. 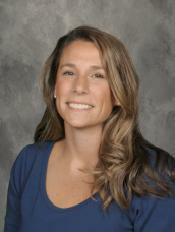 In 2013, Amy joined the Woodbury staff as Assistant Principal. She earned a Bachelor’s Degree in Elementary Education from St. Michael’s College in Vermont, a M.Ed. in reading from Boston College, and received her principal certification from New England College. Tara Bazydlo was born and raised in Barre, Vermont. After graduating high school, she attended Plymouth State University and received a Bachelor of Science in Elementary Education. Tara went on to earn a Master of Education in Literacy from Lesley University. She has worked in the Salem School District since 1999 as an Elementary Teacher, Reading Specialist, and most recently, a Grade 8 Language Arts Teacher at Woodbury School. Tara currently resides in Derry, New Hampshire with her husband and three daughters. Brent Whittaker grew up in Salem, NH and attended Salem schools. He currently lives in Salem with his wife Amy and three children. Brent began his teaching career at the Woodbury School in 2001. At the Woodbury, Brent has worked as a family and consumer sciences teacher, an 8th grade science teacher, and for seven years as a 6th grade science teacher. Brent earned his Bachelor of Science degree in Educational Studies from Salem State College, and a Master of Education degree from Lesley University. In 2014 Brent earned a Certificate of Advanced Graduate Studies in Educational Leadership from the University of New England as well as his principal certification. Susanne Mathers was born and raised in New Jersey before relocating to Windham with her husband and two children. She has 19 years experience in education with a focus in Special Education. Prior to becoming the Special Education Coordinator, Susanne was a Special Education Case Manager and Math teacher at Woodbury School. She also worked in Special Education in Windham as well as coaching Track and Field and Cross Country. Susanne continues to stay connected to teaching by working at Salem High School Continuing Education. Susanne is a graduate of East Stroudsburg University in Pennsylvania, with a degree in Health and Physical Education. She also holds a certification in Special Education from Rivier College. ​Keli Barry grew up in Westford, Massachusetts. After graduating high school, she moved north to attend college at the University of New Hampshire in Durham. Keli earned a Bachelor of Science Degree in Math Education, and then went on to UNH Graduate School to pursue a Master’s Degree in Elementary Education. Keli began her teaching career in 2003 in Salem, where she taught middle school math for 15 years. She is currently a Math Specialist for grades 6-8 at Woodbury School. Keli resides in Salem, NH with her husband, Matt, and their two children.